You’re being chased by an assassin in a machine-gun-studded helicopter—again. 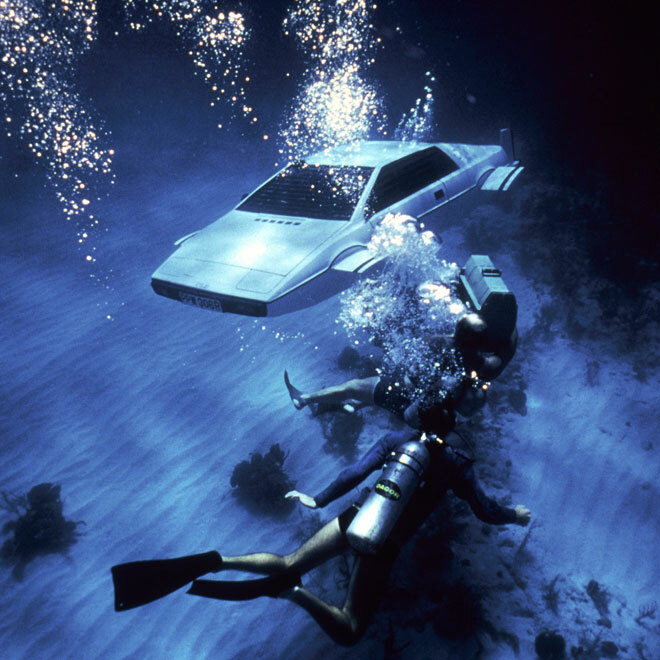 What you need is a Lotus Esprit S1 with a submarine-conversion option and sea-to-air missiles. Good luck scoring one if you’re not MI6, Hollywood MI6. But you can lay eyes on this Spy Who Loved Me speedster and other 007 vehicles at the UK’s National Motor Museum starting in January. Fifty vehicles from the James Bond films will be on display as part of Bond in Motion, which runs throughout 2012 to celebrate the 50th anniversary of the spy franchise. Gaze longingly at the Aston Martin DBS from Quantum of Solace (estimated top speed: 191 mph) or the 1937 Phantom lll Rolls-Royce from Goldfinger (only 92 mph—18-karat bodywork weighs a lot). Roll your eyes at some of the memorable absurdities, like the cello-case sled from The Living Daylights. And if a cat-stroking supervillain shows up and aims a laser at your crotch, grab Scaramanga’s AMC Matador from The Man With the Golden Gun. Top land speed is middling, but you can fly it like a plane for a dashing exit.